Ceviche is a seafood dish, that does not require to be heat treated – the fish is “cooked” by the acid in the citrus juice required for the marinade. Therefore, with the heat wave hitting the east coast – ceviche is just what the doctor ordered. 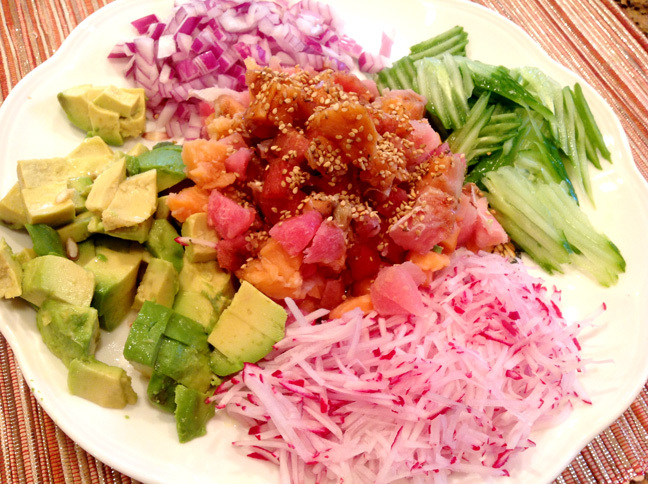 *It is important to use either sashimi grade fish or previously flash frozed fish in the preparation of ceviche; the citrus juice in the marinade denatures protein giving the fish the apparance of being cooked, however the acid does not kill the bacteria or parasitic worms- the flash freezing and cooking do. 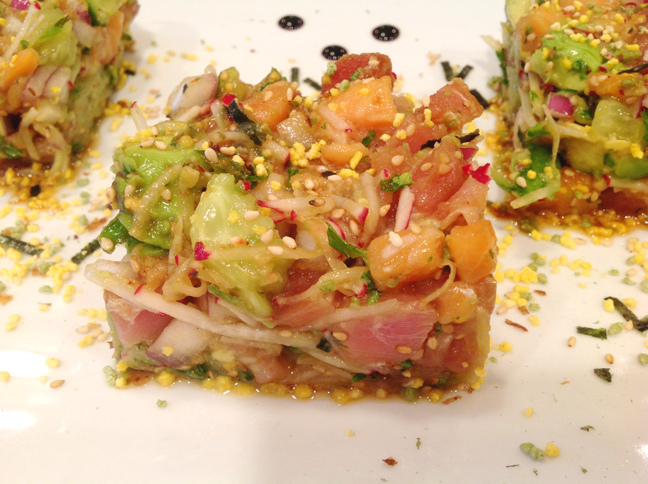 This version of ceviche has an Asian spin to it, and all the flavors meld very well together. Perfect summer dish. I love tuna and salmon. Cool, low calorie and delicious! But how do you make them stick together? Mound it into a mold or cup lined with plastic wrap, and then invert it onto a plate. Looks great!! How many does it serve?